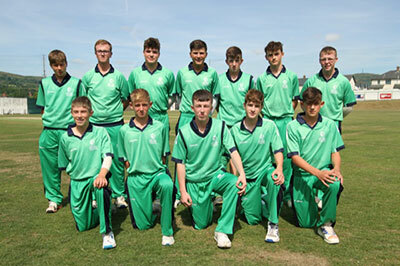 Ireland Under 15 captain Tim Tector hit an unbeaten century to lead his team to a seven-wicket win over Jersey at Woodvale. The YMCA prodigy was at his fluent best stroking 16 fours and a six in his 100 from just 90 balls as the Irish chased 218. He shared a second wicket stand of 84 in 74 balls with opener Nathan McGuire, who also found the boundary with regularity, hitting 12 fours and a six in his 73 from 62 balls. The Rush opener had dominated an opening stand of 38 with JackMcGee (9) before the latter was bowled by Dylan Kotedia (1-37). McGuire look destined for a century too before being well caught by James Smith off the bowling of Asa Tribe (1-40). Matthew Humphreys (5) was the other wicket to fall, as Toby Clark caught him, with James Smith (1-30) the successful bowler. 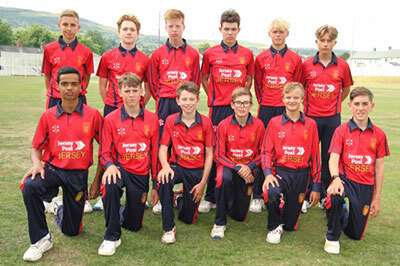 That was to be the end of the Jersey success, as Wilhelm De Klerk (18*) and Tector secured the win with an unbroken stand of 71 from 68 deliveries. Earlier, Jersey had produced a solid batting display, showing consistency the whole way through as the top nine all made double figures, taking advantage of an excellent track, lightning quick outfield, and glorious sunshine. Dylan Kotedia top scored with 40 from 37 balls (5 fours, 1 six), sharing a fourth wicket stand of 62 in just 60 balls with Asa Tribe (25). However, from 129 for 3 just past the half-way stage, Jersey faltered, despite useful cameos from James Smith (33) and skipper Josh Lawrenson (24) as they finished 217 for 9. Matthew Humphreys picked up three wickets, while there were two apiece for James Forbes and Ben Brownlee. The teams meet again tomorrow (THURS) at the same venue.